CASE, proud of our employees personal achievements. 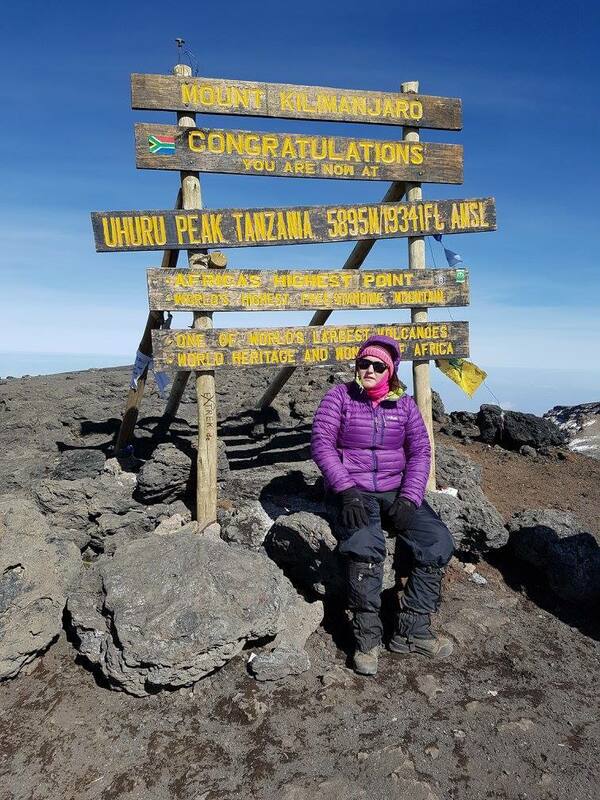 CASE’s dealer development manager Jane Whittle has raised more than £1,000 for charity by completing a personal ambition to climb Kilimanjaro. The charities benefitting from Jane’s epic achievement are the Lighthouse Club and Cancer Care North Lancashire and South Lakeland. Jane, age 32, already has an impressive track record of raising money for charity. Over recent years she has raised a total of £25,000 undertaking various challenges but said this was the biggest challenge she has taken on so far. 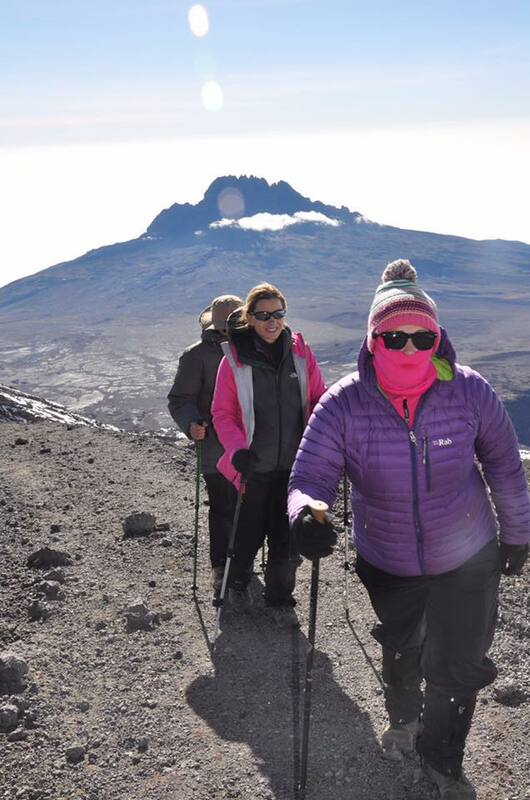 Taking on the challenge with her 56-year-old mother, as part of a larger group of people from across the UK, they completed the ascent in six days. Flying to Kilimanjaro via Ethiopia, they took the Lemosho route which is longer but allows for better acclimatisation to cope with potential altitude issues. The group was split up into smaller groups according to pace (fast, medium and pole, pole which means slowly, slowly in Swahili), before setting off from the Kilimanjaro National Park with a 48-strong support crew of porters and guides. The first part of the journey, which took them through a landscape of forests, was relatively easy encounters with the local wildlife including some Blue Monkeys which popped into the camp looking for tasty leftovers! As the ascent progressed though the going started to get a lot tougher, with the heat increasing along with the mosquito population, and some of the group started suffering with altitude sickness. The following days included climbing high before descending to the base camps to help with acclimatisation. They also had to deal with deteriorating weather conditions including torrential downpours. 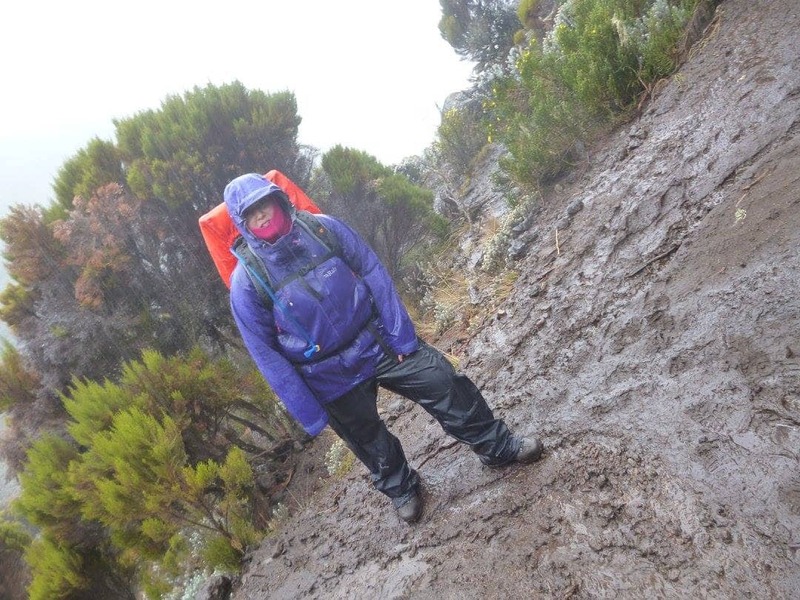 On day five they faced a climb of several hours to get over the intimidating Barranco Wall. 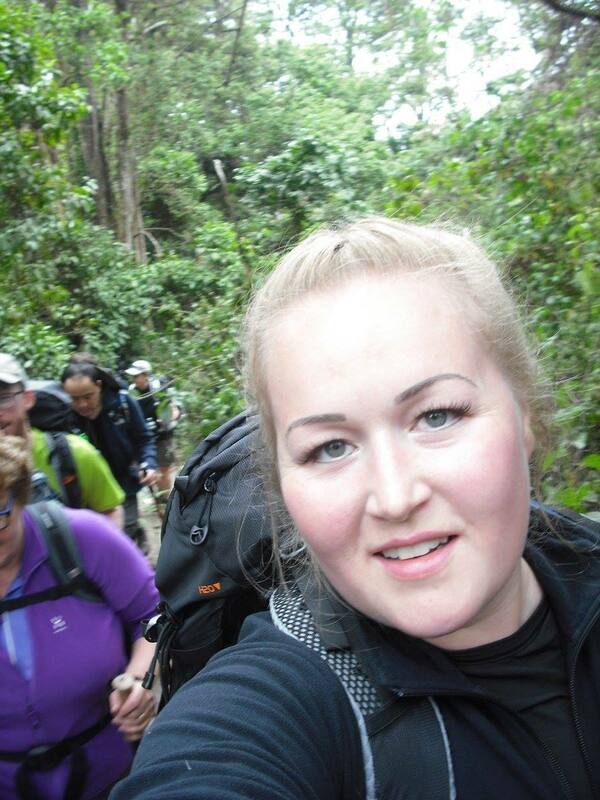 Jane explained: “Anyone frightened of heights would have found this very scary, not to mention physically demanding. It didn’t help that it rained and the rocks were slippery, and mini mud slides trickled through the rocks. 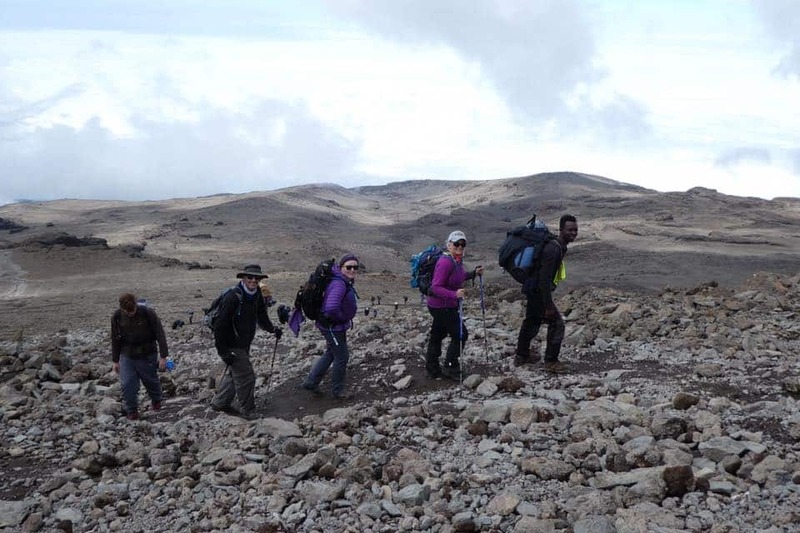 It was another tough climb but we all made it to Karanga Camp safely.” Their next destination was Barafu Camp from where they set off for the summit of Kilimanjaro (from the south). Most of the groups were now experiencing altitude sickness symptoms and the terrain was also very steep in places. They had also been informed there were no new water sources available from Karanga onwards, so there was no wasting water. Before the final ascent they were told to try and rest during the day and fuel up on food as they prepared to climb to the summit. “I was pushing my body to its limits to the melodic chant of our guide shouting ‘Push your limits, don’t give up, the pain is temporary, memories will last forever.” When we reached Stella Point, it felt like it should be the top but it was still about 30 minutes to an hour away from Uhuru Peak. The air was so thin I could hardly stand let along carry on moving but others who had reached the top already spurred us on with “Almost there” and “You can do it”.